I was at a charity car event yesterday and took part in the sound off. 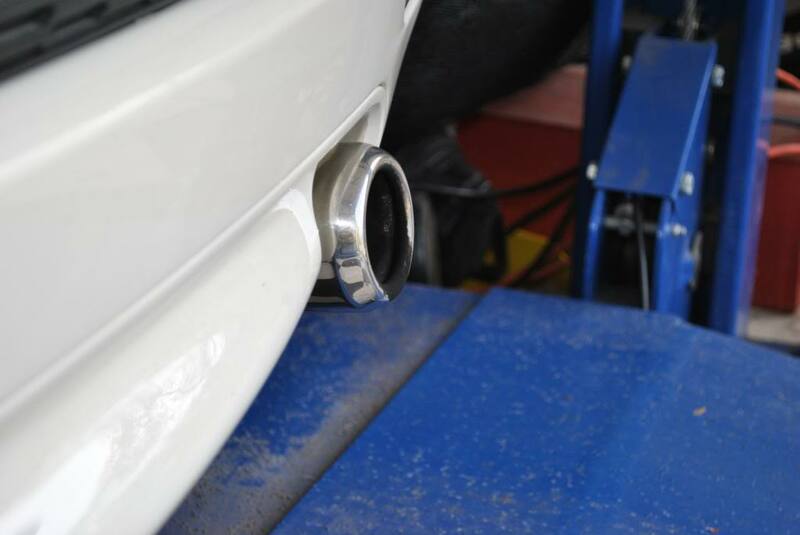 The level detected from the exhaust (while revving) was 102.1 DB. The winner was a vintage VW bus that got 117.5. About half of the cars that participated was below 100. I guess my exhaust is louder than average, even though I don't feel that way under normal driving conditions. Nice! I don't think I have heard a base Cooper with just the cat. How does it sound? I was considering a Milltek but was wondering how much louder is it than stock? 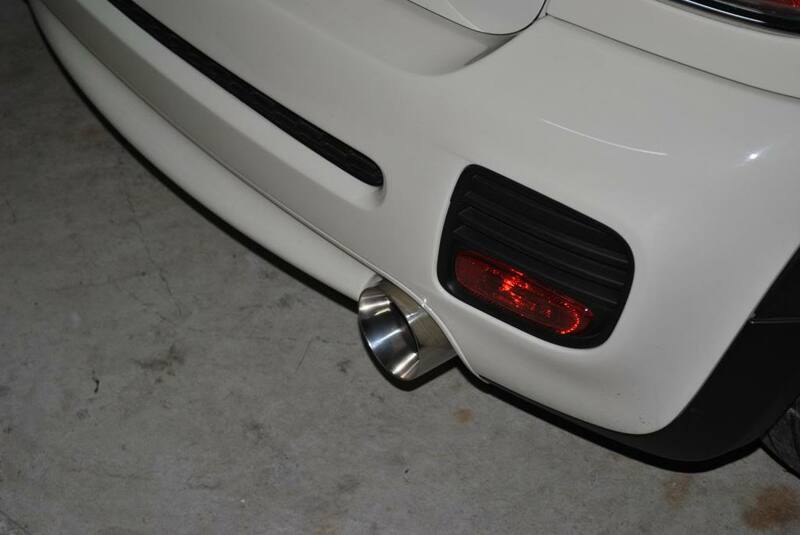 I wouldnt mind it sounding a little throatier, but not much louder. Also, is there any improvement in performance and/or mileage with a Milltek? I've been saving up for this. And the price just went up - $599 for the bolt on. Me too. I plan on purchasing within the next couple of weeks. I just checked out their website and it seems to be a very good alternative to the Milltek IMHO. 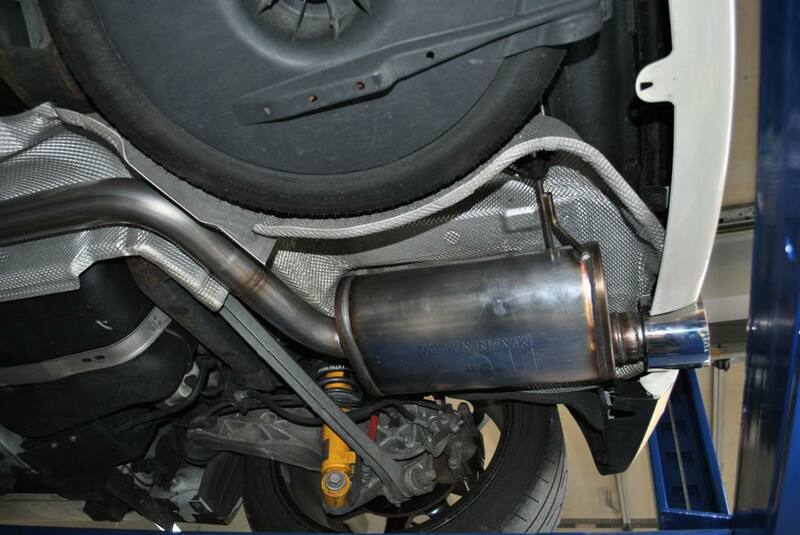 I had been exploring my options for an exhaust upgrade down the line (my Justa is only a year old so I want to get some more use out of this one before I take it off) and was really put off by the Milltek's ridiculously high price tag. My VIP shipped on Cinco de Mayo. $600 is still a lot for what it is, but I could only justify the Milltek if I were going headers back. For now, I'm hoping I like the new exhaust note and since we were never able to get ANY kind of video, I'll post one up. Hopefully in the next 2 weeks. It is supposed to arrive on 5/12. I am looking forward to the video. I really debated on that exhaust before I did get the Miltek. really looking forward to hearing this beast! and if it has a nice note but you want it louder go with that cat delete! Did my exhaust today - 2 hour job without the old man yappin' too much. Had it up to highway speed briefly and no drone, but I want to see what I think about that tomorrow. Install was not bad at all with a lift and a good pipe cutter. Good directions and nice clean fit. That exhaust tip is tight at the exit but there is room up top and on both sides; it also can be adjusted side to side which for all I know could be normal for after market exhausts but I thought it was sharp. 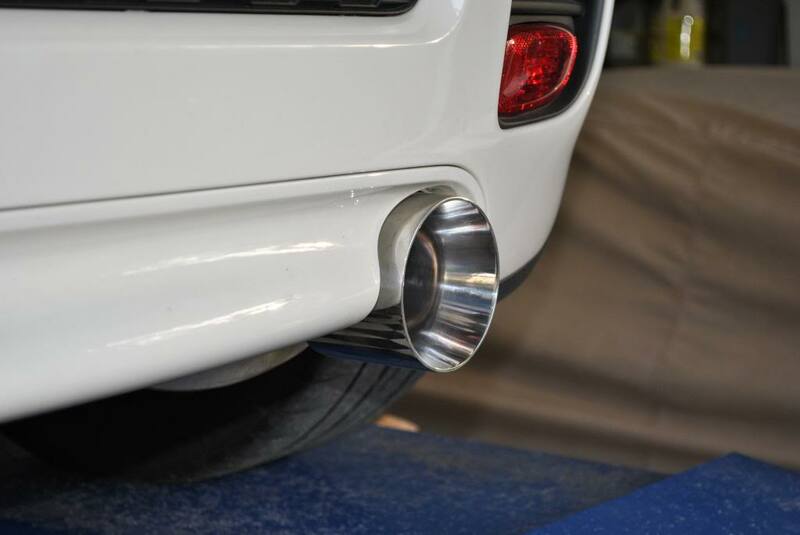 These guys did a great job putting together what is essentially a Magnaflow muffler, pipe to fit a MINI and a monster exhaust tip. Love it so far! I'll post a video in the next week or so. Grats to you will have to look at it later when I am not blocked from looking at photobucket! VIP Exhaust video. FINALLY!!! I'll make this short. I love this exhaust. I'm so torn between resonator delete or muffler delete. I was thinking resonator delete until i saw these two clips. I'm booked next week to get chopped at a local shop...help! Quieter than stock? That's a direction I didn't see coming. Since most people are looking for a deeper, throatier tone I'm doubting that a company would go in the direction of quieter. Yeah I have the Miltek, it is quiet and provides a nice low bass note that does not rumble, on another note my K&N filter fell off of my DDM intake awhile ago, put stock system back on thats why I can now hear the exhaust. ^ so, it's pretty dang quiet. is it lighter than stock? Well it is cat back larger with piping, smaller muffler so i would be quessing that is is. Best Modifications - R53 powerhouse?